Users can now add bookmarks to their audiobooks, allowing them to revisit favorite portions of the books at any time. Just tap the bookmark icon while you're listening, and this will create a marker that you can always come back to. Another neat new feature comes in the form of more granular narration speed controls. Users can now go as high as 3x or as slow as 0.5x, depending on preference. There's also the Smart Resume feature, which intelligently rewinds to the beginning of the sentence or word you left off on, so you can more easily get back into the book after a pause. As far as Google Assistant features go, users can now add audiobooks to their Routines. This is done through the Google Home app and aims to help users fit in more reading time in their day. 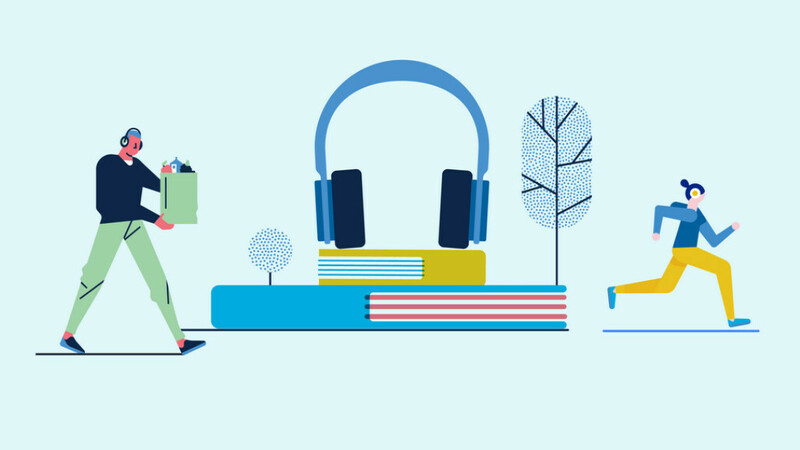 And finally, the Family Library feature, which allows users to share audiobooks and ebooks with up to five family members, is being expanded to 13 additional countries. These are: Belgium, Germany, Italy, Netherlands, Norway, Poland, Russia, Spain, Switzerland, Chile, Mexico, Japan (audiobooks only), and South Africa.